What do you get when you take Dann Burke’s soulful, clean guitar licks; throw in Cass Clayton’s smoky-smooth, three-octave vocal range and slide guitar; mix it up with Sugar Rich Liner’s old-school blues harp and keyboards; and top it off with a rhythm section that features one of Colorado’s top bass players, Loren Phillips, and Steve Saviano (who holds down a groove like nobody’s business)? You get a band with a house-rockin’ style that has amassed a loyal and energetic following of music lovers and dancers who come out to dance ALL night. 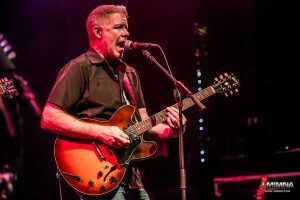 The band’s blues/rock, soul, and gospel-infused chops, along with their high energy and tight chemistry make for a unique musical experience. Come see a CC and the Riders live show at your favorite Colorado venue. 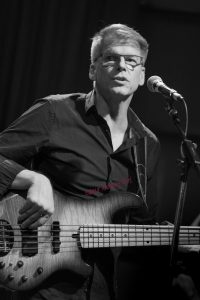 Dann launched the band nine years ago and has been playing music for over 35 years. 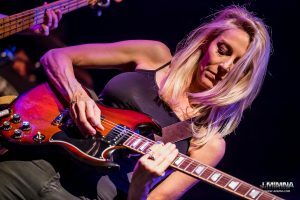 His style is clean and pedal-free with no BS – just tasteful guitar licks that enhance the music and a tendency to choose “space” instead of over-playing. He has an amazing ear and is virtually always the one who first notices if a song could be made even better. Sometimes it’s something incredibly subtle but it makes all the difference. He keeps everything tight, and his love for the music comes out in every note. Rich is an amazing harmonica player and does double duty on the keyboards. He has such a great feel for the music, and is always completely absorbed in the moment when he’s playing. Rich is in the zone, and it’s that quality that gives everyone present the permission to disappear into the music without any self-consciousness, which is what it’s all about. 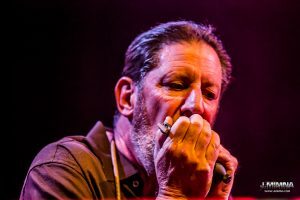 We’ve had so many people tell us that they didn’t like harmonica until they heard Rich – he just does it right! Having grown up listening to 60’s and 70’s Soul, R&B, and Funk, Phillips is naturally focused on the groove. Stevie Wonder, Ray Charles, Sly and the Family Stone all played a big role in Loren’s musical upbringing but it wasn’t until Steely Dan hit the airwaves, from the early recordings to Aja, that playing bass became a commitment. Currently working with local blues and pop acts, Loren’s supportive bass and rich vocals keep him in demand around Colorado. 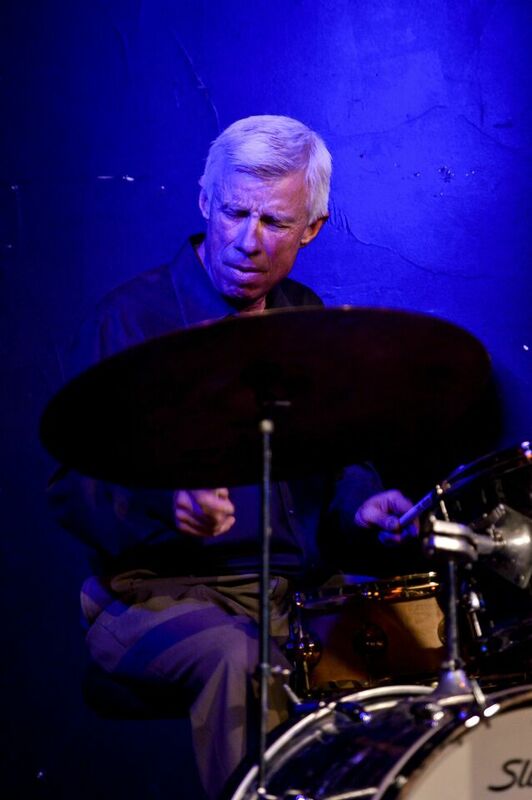 Steve Saviano has been playing drums since he was just a kid. 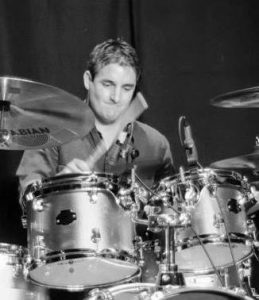 Raised by a family that was steeped in the music industry, Steve was already a respected session drummer before he graduated from high school. His ability to migrate comfortably to rock to jazz to reggae to blues, funk and soul, makes him the “dream drummer.” During his early career in LA, Steve studied with drum legend, Vinnie Colaiuta. Now he’s sharing his groove with us a a few select drum students. Bonus: he’s in school to become a meteorologist, so he knows if we’re going to get rained on when we play those outdoor stages! 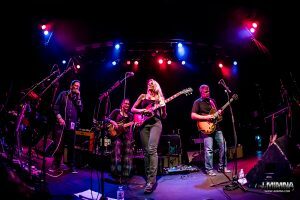 Cass is known for her big, bluesy voice and broad vocal range that comfortably goes from Blues/Rock to R&B, Soul and edgy Country sounds alike. Early influences of old-school blues, gospel, R&B and jazz can be heard in her powerful vocal style, song choices and lyrics. Regardless of the genre in which she is singing, she feels most connected to the blues vocalist tradition. Influences include Bonnie Raitt, Susan Tedeschi, Albert King, Koko Taylor, Etta James, Keb Mo, Nina Simone, BB King, Mahalia Jackson, and Aretha Franklin. Check us out at ccandtheriders.com.